A series of seminars & workshops were held, where we educated and equipped our members around the pro-life issues, in particular the fight against abortion. This enabled them to educate others around the same topic. The Right To Live Campaign was started by the Catholic Church for pregnant women and abused women in crisis. The first Mater Home was opened in Cape Town and of course we were there to give them our support. Some of our devoted members. Information leaflet of the Home. In addition, we also made a generous donation to the Mater Home. 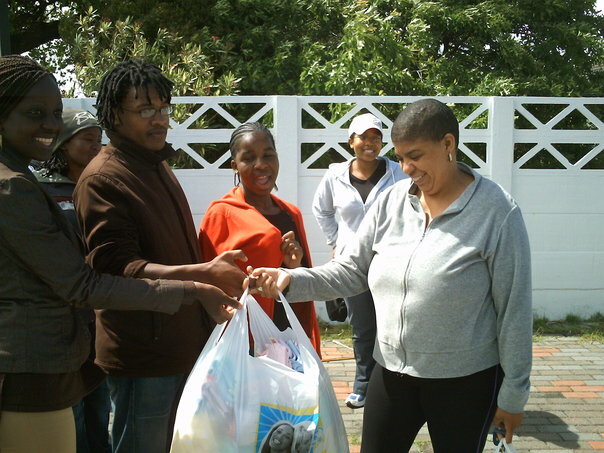 The donation was baby clothes and products to the value of R1500. This donation was made possible by our members’ funds. The new committee handing over the donation to the house mother of the Mater Home. The committee would like to thank all the students who support us, our board members, sponsors, the other campus Societies, pro-life organisations and churches that have supported us. Join us and help us save babies from abortion and make UCT a pro-life campus!